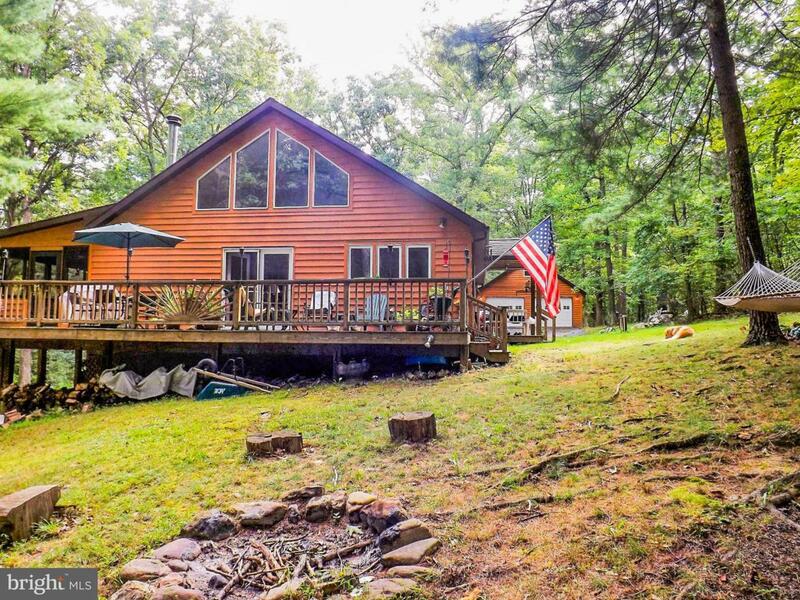 Retreat to the woods where comfort and relaxation await you in this 2-bedroom, 1.5 bath custom built contemporary home. 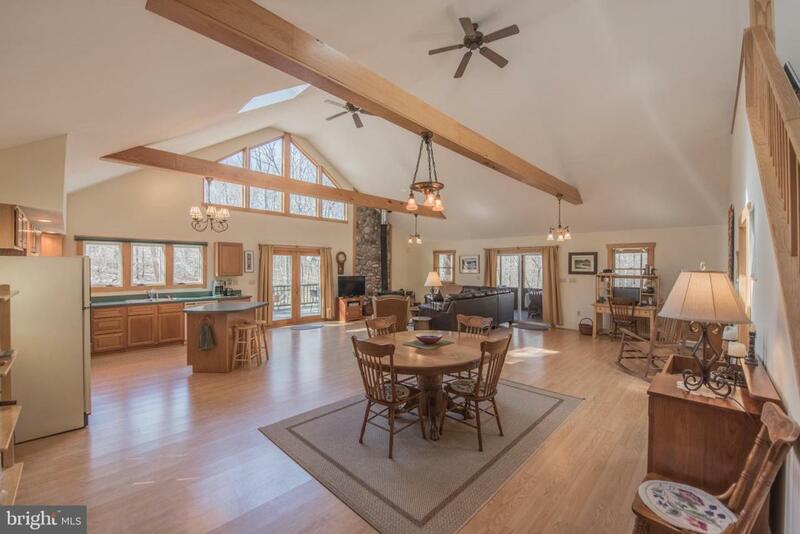 The woodstove in the great room adds a cozy touch to this spacious room combining kitchen, dining and living areas. This room also features vaulted ceiling, wood beams, sky lights, sliding glass doors, French doors and large windows allowing for plenty of natural light. The kitchen features a stand-alone island, great for preparing meals, electric range, dishwasher and built-in microwave. Bedrooms with Berber carpet and ceiling fans with lights will certainly induce restful slumber.The expansive loft with 2 areas is great for a play space, extra sleeping or a quiet retreat for reading. An inviting screened porch with a hot tub and the wraparound open deck is a pleasant setting for cookouts, entertaining friends or simply savoring the out-of-doors.A 2-car detached garage built in 2014 has electricity and pull-down steps to access storage above the garage along with an extended driveway. 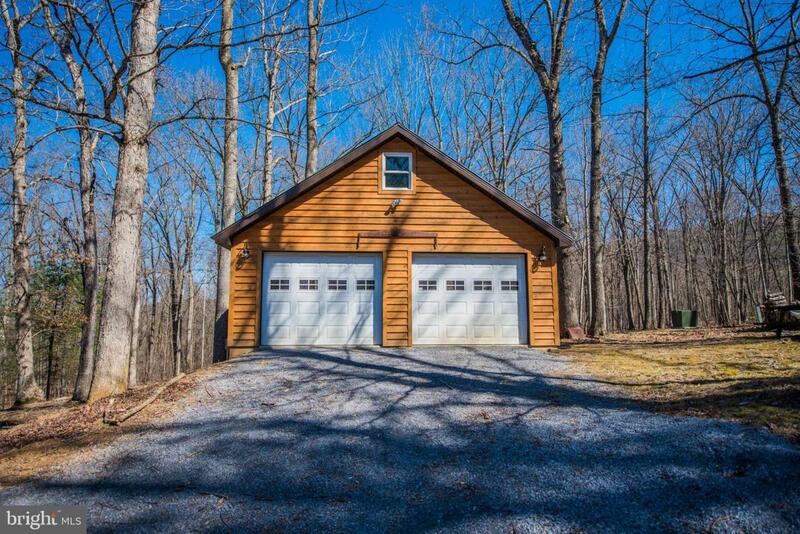 No parking or storage issues here.This home is situated on a 2.1-acre wooded lot in a Cacapon River access community where one may enjoy kayaking, tubing. swimming and fishing. 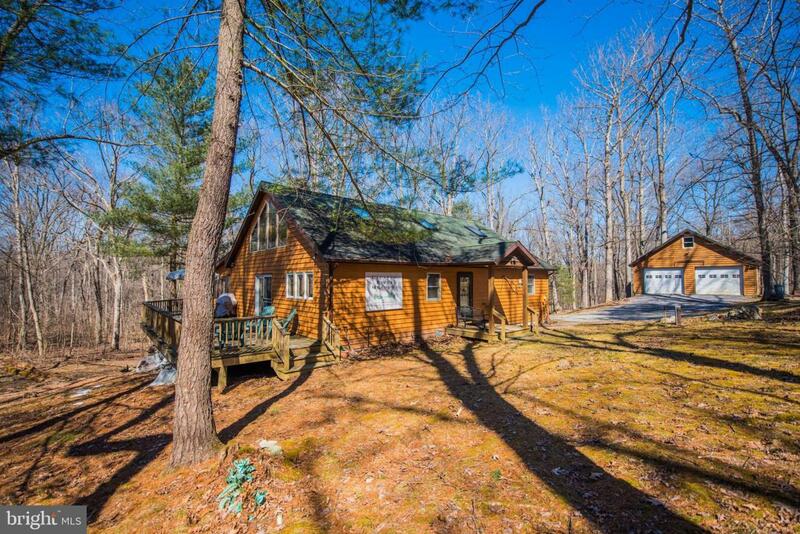 Golfing, hiking trails and biking are located nearby at Cacapon Resort State Park and the Western Maryland Rail Trail. In addition, the historic town of Berkeley Springs offers shopping, restaurants and day spas.Enjoy a breath of relief from this fast-paced world and let this be your personal hideaway retreat. Room sizes are approximate, to be verified by Buyer.